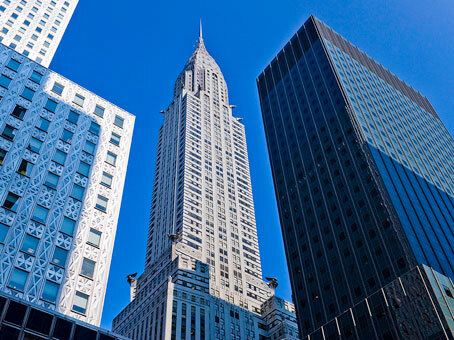 A guide to executive suites and office space for rent in New York City as well as general information that may be useful if you are considering renting office space in the city. For further New York City office space information or to search for offices for rent in New York City just click. Or contact us for any office space search inquiry. As arguably the greatest city in the world, New York holds a special place in the hearts and minds of not only its residents but of millions around the globe who have never even been to the Big Apple. The most populous city in the US is located in the northeast of the country at the mouth of the Hudson River halfway between Washington DC and Boston. New York boasts one of the largest natural harbors in the world with most of the city on the islands of Manhattan, Staten Island and Long Island. Before the arrival of Europeans, the area was inhabited by the Algonquin tribe of Native Americans. In 1524 Giovanni de Verrazzano became the first European to discover the harbor, which he claimed for France. However in 1609 explorer Henry Hudson sailed into the harbor and claimed the area for the Netherlands, dubbing it New Netherland. In 1614 the Dutch established the fur-trading colony of New Amsterdam on Manhattan Island. In 1664 the Dutch surrendered it to the British who promptly renamed the settlement, New York. The settlement grew rapidly under British rule and soon became a city. Though its population was severely affected by Yellow Fever between 1700 and 1800, the city prospered. In 1769 the Battle of Long Island was fought in the area, the largest of the Revolutionary War. The Americans were routed and for the rest of the conflict, New York was an important center of military operations for the British. After the war, the city resumed its quick growth rate. In the mid-19th century, its population ballooned as a result of immigrants from Ireland fleeing the Potato Famine. Immigrants also arrived from Germany, Poland and Greece. By the 1920s New York had become the most famous city in the world, taking the mantle from London. The city’s economy suffered during the Great Depression but boomed in the aftermath of WWII. It again hit the doldrums during the 1960 and 70s but revived again in the 1980s, due in large part to its financial services industry. On September 11th 2001 New York’s World Trade Center was destroyed in the worst terrorist attack on American soil in history. Today New York is a city of enormous power, wielding influence over politics, the economy, culture and media. New York is a global center of finance and commerce. Along with London and Tokyo, the city is considered one of the ‘command centers’ of the global economy. Much of this is due to the size of the city’s financial services industry. Over 35 percent of the city’s employment income comes from financial services and New York is home to both the New York Stock Exchange and the NASDAQ, the two largest stock exchanges in the world. 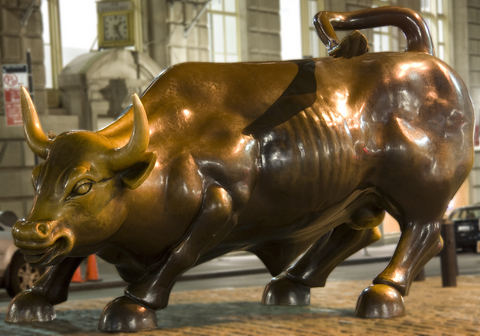 Monetary policy in the US is implemented through the Federal Reserve Bank of New York, the largest and most influential of America’s 12 regional banks. As well as financial services, New York has a large IT industry employing over 43,000 residents of New York. Among the companies with a large presence in New York is Google, which recently moved into 311,000 square feet of office space in New York’s second largest building on Eighth Avenue. Another significant part of the city’s economy is real estate – Manhattan’s property value has been estimated at USD 800 billion and is home to the headquarters of some of the world’s largest corporations including more Fortune 500 companies than any other city on earth. Many foreign corporations also have a presence in New York, with one out of every ten private sector jobs in the city being generated by a non-American company. Media, film, and of course retail are also major industries in New York. The city also has one of the largest tourism industries in the world. 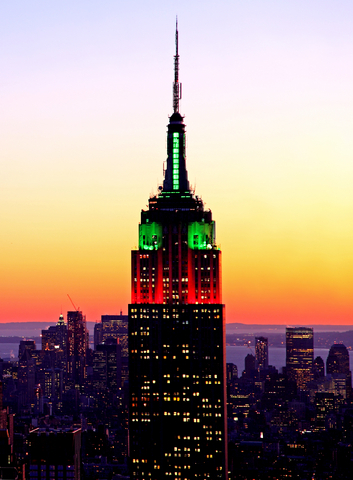 New York is famous worldwide for its distinctive culture and abundance of tourism sites and attractions. The city attracts almost 50 million visitors every year and is home to the most visited tourist site in America – Times Square. It also boasts a host of other perennial tourist attractions such as the Empire State Building, Statue of Liberty, Wall Street, Madison Avenue, Greenwich Village, and the Rockefeller Center. New York is also the site of many events which attract hundreds of thousands of tourists, such as its Thanksgiving Day Parade, St Patrick’s Day Parade, and its Halloween Parade. New York City’s booming retail industry is also a major draw with many tourists coming from Europe and the rest of the world for shopping holidays in the Big Apple. The World Trade Center site has also become a popular place to visit for tourists who want to remember the attack in 2001. Of course New York also has a wide selection of museums to visit as well, the most recognized being the Metropolitan Museum of Art, the American Museum of Natural History, the Ellis Island Museum and the Guggenheim Museum. The city is also famous for its thriving nightlife featuring some of the world’s best clubs, pubs, restaurants and bars, which are spread out over Soho, Tribeca, Brooklyn and the Bronx. Unlike many American cities, New York has a vast and efficient public transportation system. New York’s transport system is the most extensive in the US and runs for 24 hours a day. The city is served by three airports, John F Kennedy International, Newark Liberty International, and LaGuardia. New York is the number one air passenger gateway in America and John F Kennedy alone handles more than 47 million passengers per year. New York itself has several options for public transport users, the most popular being the famous New York subway system. The city also boasts an extensive bus system as well as taxicabs and Ubers. Because of its efficient public transport system, New York is one of the most energy efficient cities in the US with many of its residents walking to work and approximately 120,000 cycling to work every day. New York has been ranked as the most walkable city in the US. In the second quarter of 2018, the average quoted leasehold annual rent in the NYC office market across all building classes was $60.26 psf. This represents a $0.87 PSF decrease compared to $61.13 in the first quarter. Chelsea – $59, City Hall – $56.82, Columbus Circle – $52.92, Financial District – $53.16, Gramercy Park – $69.59, Grand Central – $64.95, Greenwich Village – $61.30, Harlem / N Manhattan – $40.13, Hudson Square – $78.95, Insurance District – $56.94, Murray Hill – $59.02, Penn Plaza / Fashion – $51.27, Plaza District – $72.73, SoHo – $62.44, Times Square – $63.69, Tribeca – $61.59, U.N. Plaza – $62.59, Upper East Side – $66.02, Upper West Side – $84.10, World Trade Center – $56.21. Pfizer, Inc. – 793,000 sqft at 66 Hudson Blvd, Penn Plaza sub-market. 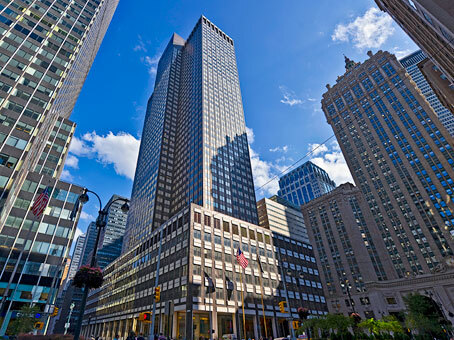 Latham & Watkins, LLP – 408,000 sqft at 1271 6th Avenue, Columbus Circle. Discovery Communications – 360,000 sqft at 230 Park Ave South, Gramercy Park. J. Crew – 321,731 sqft at 225 Liberty Street, World Trade Center. Facebook, Inc. – 281,213 sqft at 770 Broadway, Greenwich Village. Total leasing volume totalled 10 million square feet in the second quarter, as these large leases were completed. 30 Hudson Yards (500 West 33rd St.): 2,600,000 sqft. Delivery Q3 2019. 100% pre-let. Developer – Oxford Properties Group. One Manhattan West (400 West 33rd St.): 2,216,610 sqft. Delivery Q1 2019. 55% pre-let. Developer – Brookfield Office Properties. Two Manhattan West (385 Ninth Ave.): 1,950,140 sqft. Delivery Q1 2023. 0% pre-let. Developer – Brookfield Office Properties. One Vanderbilt Avenue: 1,732,955 sqft. Delivery Q3 2020. 100% pre-let. Developer- SL Green Realty Corp., Inc.
55 Hudson Yards (550 West 34th St.): 1,556,134 sqft. Delivery Q3 2018. 86% pre-let. Developer – The Related Companies. The rise in the popularity of flexible workspaces in New York City continues with serviced offices, managed office space, co-working spaces, hot desks and options increasingly being chosen by a range of occupiers from solopreneurs to corporations. WeWork is currently just one lease away from being the biggest private office space occupier in Manhattan. If it leases just another 75,000 sqft — which is a typical size for WeWork — it will occupy more space than JPMorgan Chase, currently the biggest office occupant in New York’s Manhattan market. WeWork’s space is increasingly being adopted by large tenants and the company recently announced that 22% of Fortune 500 companies are WeWork members. Other flexible workspace providers in New York include Regus – part of the IWG group, and Servcorp. New York City also has a vast selection of business travel accommodation options and we have partnered with Booking.com to bring you all of these in one place. You can use the search tool below to search and book. If you have a Booking.com account, you can log into that via the tool. Please see our new Street Address Guides for this location below.